AllegroMedical.com presents The Comfort Audio Duett New Personal Listener Telephone Kit. This Comfort Audio Telephone Kit makes hearing on the telephone with your Comfort Audio Comfort Duett personal listener. The telephone kit connects to your corded telephone to amplify telephone calls and make them easier to understand. 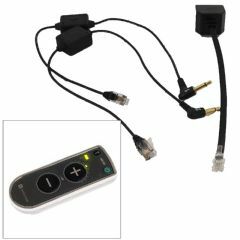 The Comfort Audio Telephone Kit is compatible with the Comfort Duett New Personal Listener featuring large volume buttons, making the Duett even easier to use. Comfort Duett Personal Listener sold separately.